The Carlsbad-based NAMM Foundation will donate $500,000 over the next year to fund 16 music programs ranging from the Australian Music Association to the Dallas Wind Symphony to Little Kids Rock. The foundation, which is affiliated with the National Association of Music Merchants, funds organizations throughout the world that provide access to music education and promote the pleasures and benefits of making music. 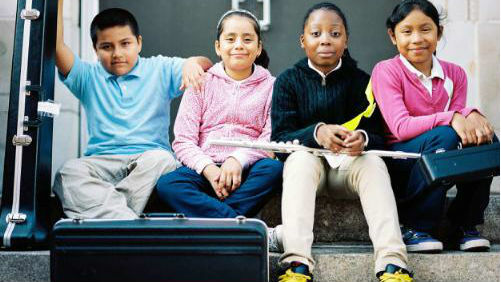 In San Diego, the foundation is helping fund the San Diego Youth Symphony and Conservatory to support expansion of the Community Opus Project, which provides community-based music programs for at-risk youth, as well as community-wide efforts to reinstate music education programs. The merchants association also operates the Museum of Making Musing near Legoland.